Looking for camping in Brisbane? 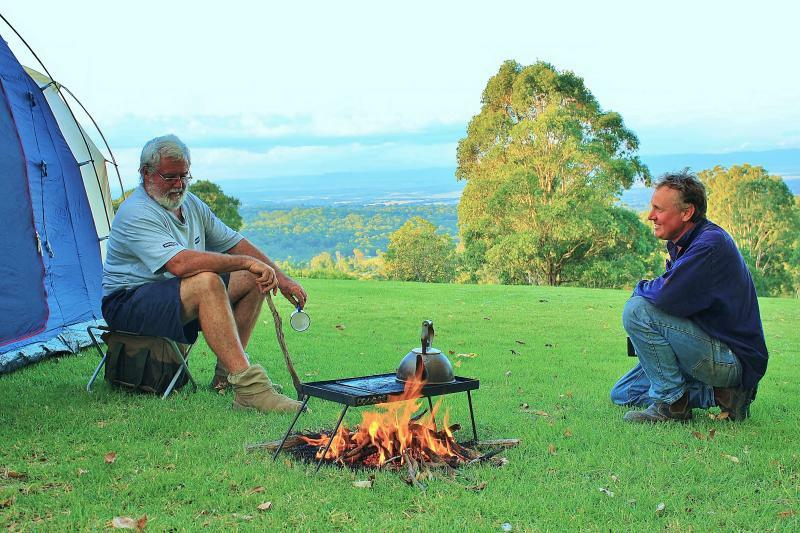 Below is the most comprehensive guide for the best camping spots in Brisbane. Camping is one the best ways to get closer to nature. It is really nice, once in a while, to take a break from bustling and hustling city life, crowded places, noise, and traffic. To rejuvenate, recharge and detoxify our systems, we really need to enjoy the peace nature has to offer. If you are a Brisbane resident and looking for camping spots in or around Brisbane then you can get all the information about camping spots in this guide below. We’re also constantly updating this blog so you get the latest information about new spots. Luckily, our sunshine state has a lot to offer when it comes to natural places and camping spots. Though, every camping spot has something different to offer. Not just from camping ground point of view but also from the facilities provided at camping spots such as toilet facility, water, wood, fuel, food and so on. We have done the work for you and prepared a guide for best camping spots near Brisbane so you can simply pack your bags and get going. Have fun camping! This peaceful and spacious campground is located on a 4000-acre cattle property, half of which is used exclusively for camping. Your drive to the property takes you along a scenic dirt track with beautiful views of the mountains. Kangaroos, Cows and an abundance of birdlife greet you as you drive in and will continue to be seen throughout your stay. After checking in at the office and being given your maps; you will begin your drive through the property. 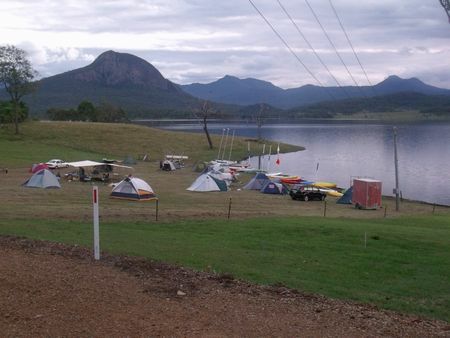 Lake Moogerah Caravan Park is situated directly on the shore of stunning Lake Moogerah, a pristine slice of Queensland wilderness located a lazy 100 kilometres from the CBD. Framed by mountains and featuring one of the most tranquil lakes you’ll ever see, Lake Moogerah is a favourite with both water-sports lovers and star photographers alike—meaning that the range of activities on offer is sure to keep every member of your party happy. Pitch a tent and curl up with a good book and we promise you won’t be disappointed with this total retreat from the hustle and bustle of city life. Nestled between roughly 100 acres of hilltop greenery, gently winding rivers, towering gums and perfectly grassy sites, Bigriggen Park is one of Queensland’s best kept secrets for a very good reason. An hour-long hike away from the campsite will bring you to a stunning swimming hole perfect for a post-hike dip, while creeks aplenty provide a burbling soundtrack to your relaxation. With a cap of 700 campers, even in the hectic long weekend season, staying at Bigriggen Park will feel like a true getaway into nature at any time of the year. Well, what are you waiting for? Caravan and camper size is available to a maximum of 10x10m and swags and tents from 8x8m. Each campsite is allowed one car parked adjacent, while single-day attendees must park their cars in the day parking area while the festival is on. Guests are offered the full camping experience with firewood offered for sale by on-site community groups to save attendees carting their own with them. On-site fire rings are available as well. Pets or animals are not allowed on the site unless allowed by law. Guide and Assistance dogs are allowed, but owners are asked to please be courteous and remember to clean up after them. Disability camp sites are available but are limited, and can be booked by calling 5482 2099. Power is unavailable on the disability sites, and guests using them are reminded to bring their own generators. The Muster runs during the last weekend of August (25-28) at the Amamoor Creek State Forest Park. Tickets can be purchased by calling 1300 438 849 or by visiting the Gympie Muster website at www.muster.com.au. A camping spot guide just wouldn’t be complete without at least one mention of Lamington National Park. Home to many of Queensland’s best natural wonders, like Natural Bridge and Morans Falls, Lamington also boasts two camping grounds: a public one located in the Green Mountains section of the park and a privately-managed one adjacent to the Binna Burra section of the park. Both are awesome and provide access to the vastly different sides of the national park. While the process of acquiring a permit to camp in Lamington can be a bit of a hassle, due to the local governments desire to protect its pristine beauty, the end result is more than worth the trouble. Located only an hour and a half away from Brisbane’s CBD, Mount Barney National Park is a must-see for the seasoned adventurer among us, as the campgrounds on the mountain itself are only accessible by foot. 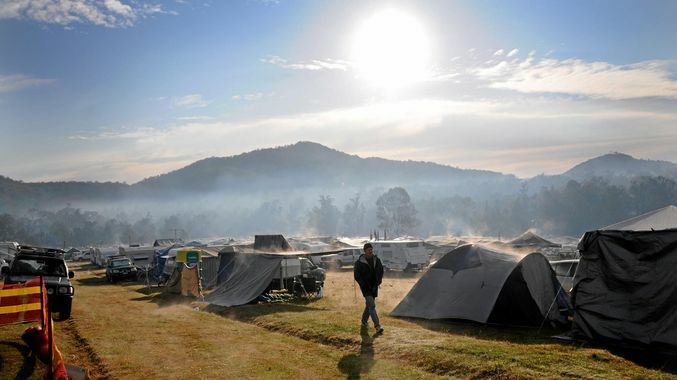 That being said, there are a few campgrounds close by—chiefly the Mt Barney Lodge campground—for those who are keen to explore the stunning natural beauty of Mt Barney and retreat to a safe haven at the end of the day. Rising like a sentinel from the surrounding hills, Mount Barney’s summit offers some to-die-for views of the surrounding landscape and more than one stream of water to traverse. Don your best fedora and pretend you’re Indiana Jones, guys, because you’re about to have the camping adventure of a lifetime. Set beside the gorgeous Yabba Creek, in Jimna State Forest, Peach Trees camping area is the perfect weekend getaway for the family. A number of walks leave from the camping area, the most popular of which being the 700 metre Yabba Creek Circuit Walk which crosses a suspension bridge and delivers you to the opposite side of the creek, where you can dip your toes in the cool, sparkling water. Open fires are also permitted in barbeques and fire rings, so make sure to pack some extra marshmallows for a truly authentic camping experience. Plus, the campground’s called Peach Trees and that is the most adorable thing we’ve heard all week. This area is just 20 minutes from the Ipswich CBD and 45 minutes from the Brisbane CBD, yet it feels a million miles away from the city. The estate covers 2,200 hectares of land, featuring forests, valleys and peaks such as Flinders Peak, Mt Blaine, Mt Catherine and Mt Goolman. It is home to wide range of native plants and animals and has a rich history and culture. To explore the area, there are many trails available. The shortest trail is just 560m through bush tucker gardens. The longest is 19km, and there are more challenging trails that take you up the peaks for amazing views of the Scenic Rim and out to the bay.